Rediscover the majestic musical adventure of The Hunchback Of Notre Dame and The Hunchback Of Notre Dame II – together for the first time in stunning Blu-ray High Definition. Bring your family together for the extraordinary tale of Quasimodo in a soaring celebration of the beauty inside all of us! Join the world’s most unlikely hero as he meets his first real friend, Esmeralda, while fighting to save the people and city he loves. The legendary story continues as Quasi reunites with his gargoyle friends to protect the cathedral’s most famous bell and find true love. The Hunchback of Notre Dame soars with a magnificent score by renowned composer Alan Menken (Beauty And The Beast, Aladdin). Enjoy both magical films, bursting with brilliant animation and unforgettable characters, together on Disney Blu-ray. I’ve always loved Disney movies (I still have a bunch of my old Disney VHS that my kids love to watch) The Hunchback of Notre Dame was always one of my favorites as a child..and still is. I am not going to go into details what the movie is about as i’m pretty sure we have ALL seen this movie before. Instead I will tell you about the awesome features and qualities of this Blu-ray. I really love Blu-ray versions of movies as there is always a big difference in the quality. The Hunchback of Notre Dame I & II is no exception.. The sound and picture quality of the Blu-ray is exceptional. The picture is very crisp,clear and vivid (even my kids noticed the difference). The sound is just fantastic, I actually had to turn down the sound on the TV because some of the songs were making my TV-Unit shake. The Hunchback of Notre Dame movie collection Blu-ray comes in a cardboard sleeve over top the Blu-ray case. 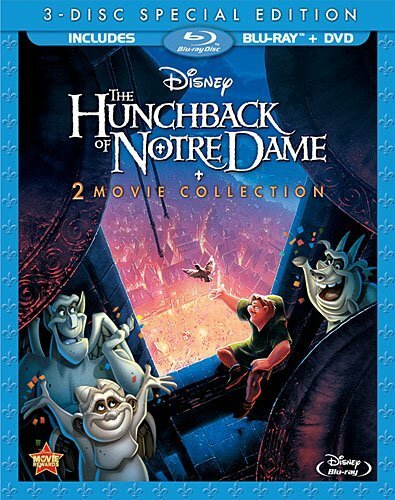 Features: Disney Enhanced High Definition Picture and Sound, “The Making of ‘The Hunchback of Notre Dame'”, Audio Commentary, Multi-language Reel – “A Guy Like You”, “Behind the Scenes with Jennifer Love Hewitt”, “A Gargoyle’s Life”. 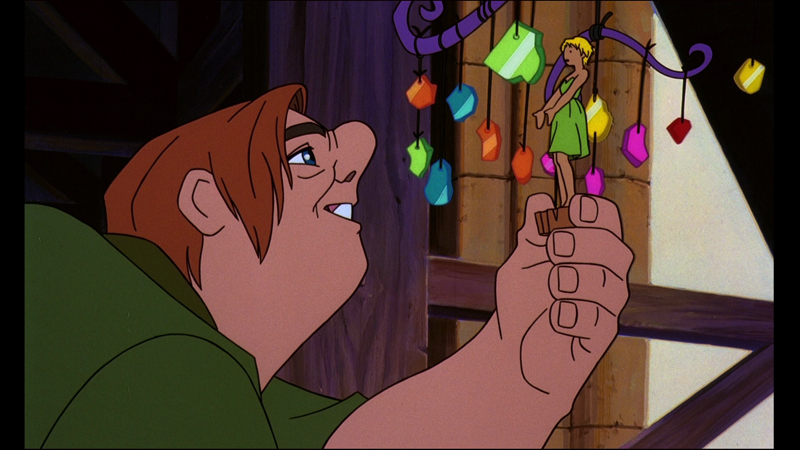 The Hunchback of Notre Dame I & II Blu-ray Combo Pack is available in stores and online. I give this movie a 5/5 because of the awesome quality.